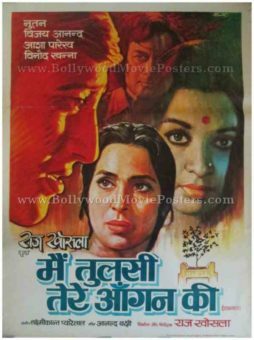 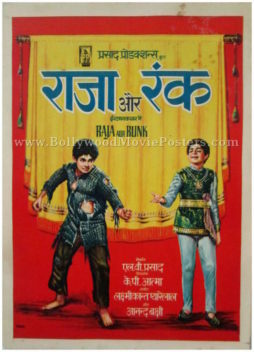 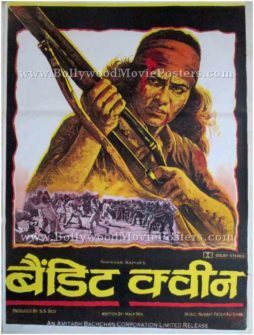 Hand painted Bollywood movie poster of the Hindi film, Bache Mere Saathi (1972) for sale. 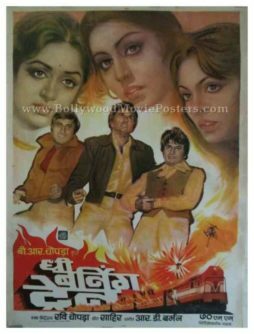 This is an actual surviving hand drawn Bollywood poster of the 1972 movie that was dubbed in Hindi and released under the banner of Rani Productions Madras. 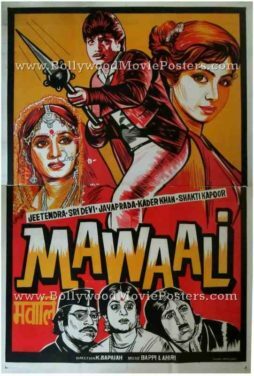 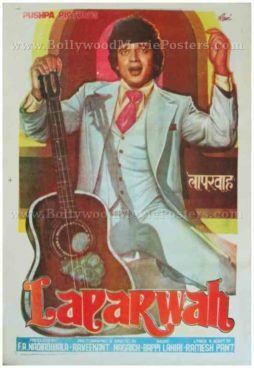 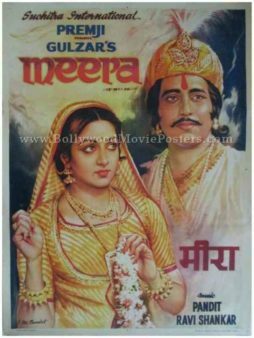 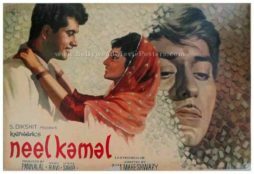 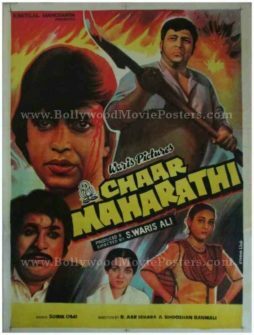 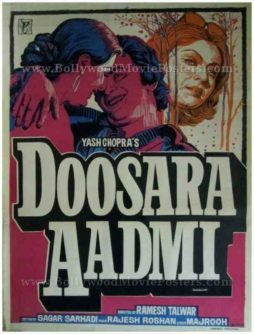 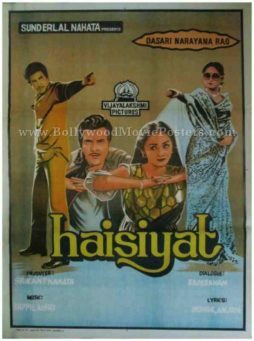 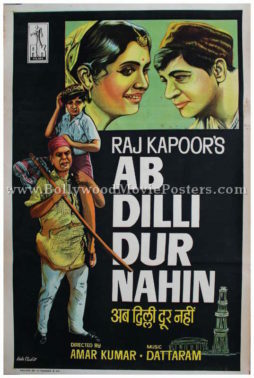 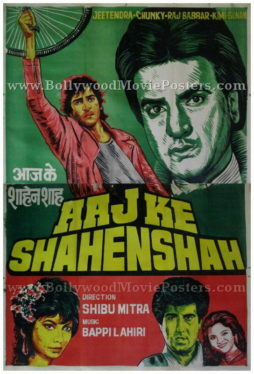 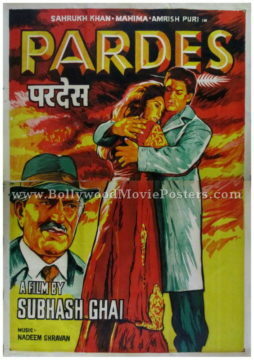 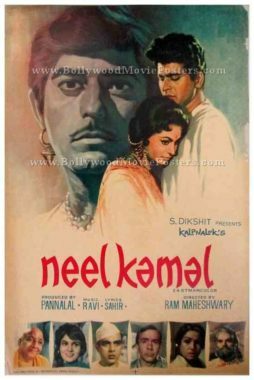 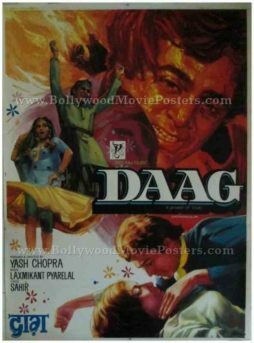 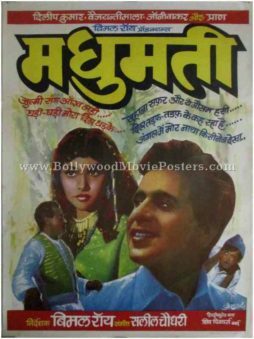 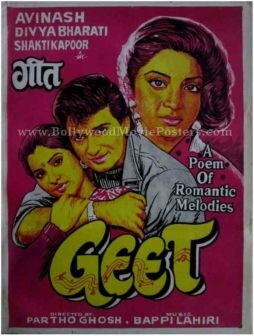 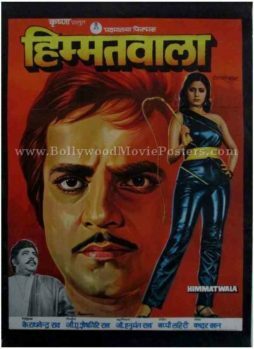 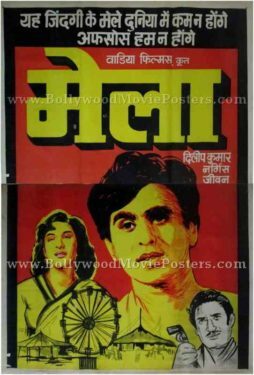 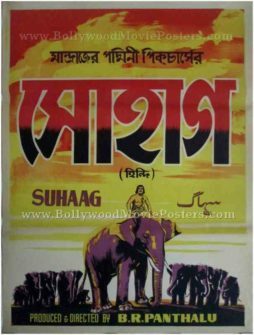 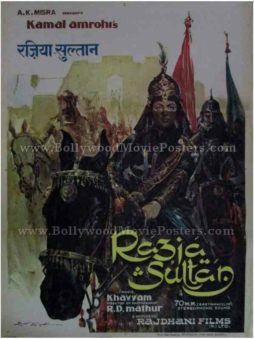 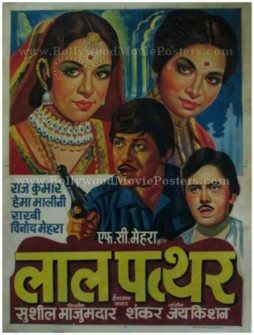 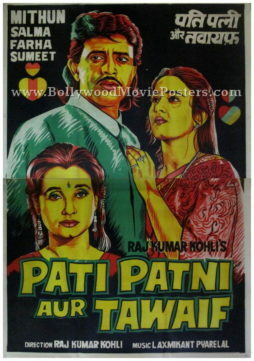 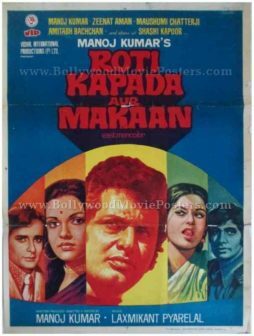 Printed and circulated during the first release of the film (somewhere in the early 1970s), this hand painted Bollywood movie poster was originally designed for publicity of the film but never ended up being used. 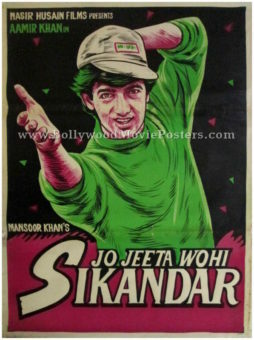 This classic hand painted Bollywood poster features an interesting minimalist design. 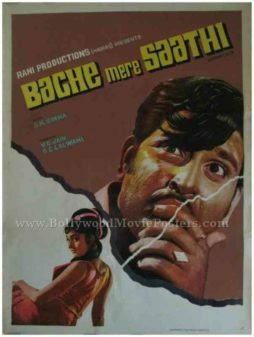 A white line is drawn across the lead protagonist’s face resembling a bolt of lightning. 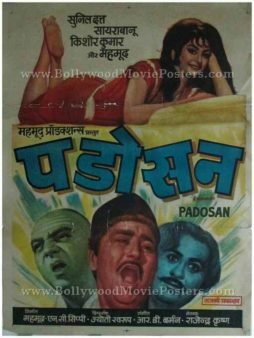 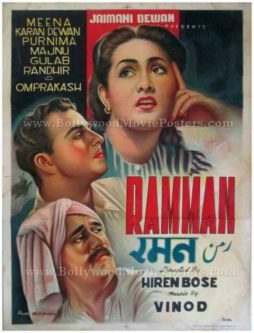 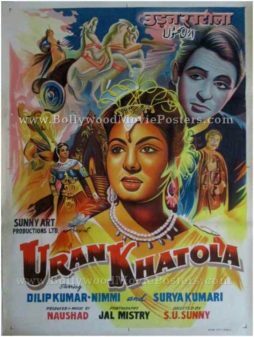 The leading lady appears in a somewhat seductive pose at the bottom of this hand painted Hindi movie poster.